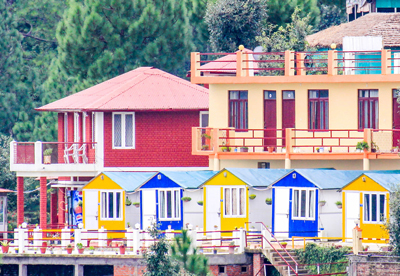 Himvadi Resort is ideal for those who seek to escape from the din and dust, hustle and bustle of big cities and wish to spend quiet holiday in the lap of nature. 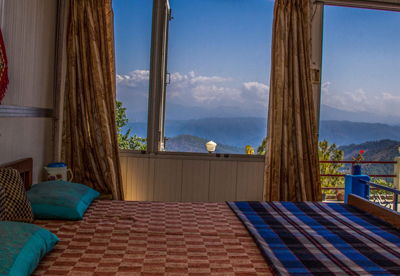 Enjoy breathtaking views of the snow capped peaks of Panchchulli, Nandakot, Nanda Devi, Nanda Chunti and Chakhamba from the comfort of Deluxe Huts and Rooms. 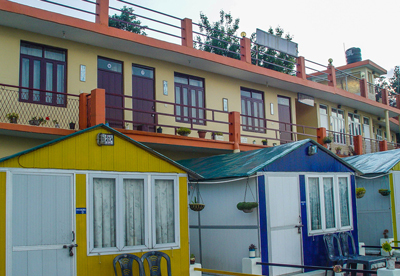 Our Resort is located in the Kausani. Travel through the place and let yourself be seduced by the colours and aromas of a land blessed by the most spectacular scenery, this beautiful place is so rich in history that few can resist the temptation to return again and again.